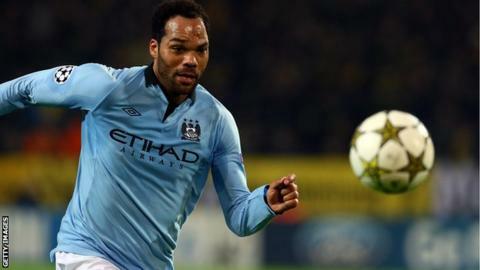 Premier League title-winner Joleon Lescott looks set to leave Manchester City after five years at the club. The defender won a second championship with City following Sunday's 2-0 win against West Ham, but has found his playing time limited this season. "A very emotional time for me after the game," tweeted the 31-year-old, whose contract expires in the summer. "I thank everyone connected to the club, it's been a fantastic period of my career and life." Former City manager Mark Hughes bought Lescott from Everton in a reported £22m deal in August 2009. The England international went on to make more than 100 appearances for the club, adding the FA Cup and League Cup to his two Premier League winner's medals. However, he has only played 10 league games this season and has been omitted from Roy Hodgson's England squad for the World Cup.